Books: 50,000 DRM-free e-books from scholarly publishers, integrated with journals and primary sources on JSTOR. The collection includes both backlist and frontlist titles, and there are no limitations on the number of uses or downloads. More than 2,500 Open Access e-books from leading publishers are now available on JSTOR, at no cost to libraries or users. Primary Sources: More than 2 million primary sources across four collections: Global Plants, 19th Century British Pamphlets, Struggles for Freedom: Southern Africa, and World Heritage Sites: Africa. The artefacts, specimens, and documents in the collections are scanned at high resolution to enable detailed inspection of each item. 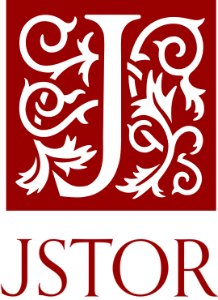 You can learn more about the Journals, e-books and primary resources offered by JSTOR by visiting their website today. click here. Want the latest news and updates from JSTOR ? Stay connected!